Glacial retreat in the Canadian Arctic has uncovered landscapes that haven’t been ice-free in more than 40,000 years and the region may be experiencing its warmest century in 115,000 years, new University of Colorado Boulder research finds. Read the entire article at Phys.Org. 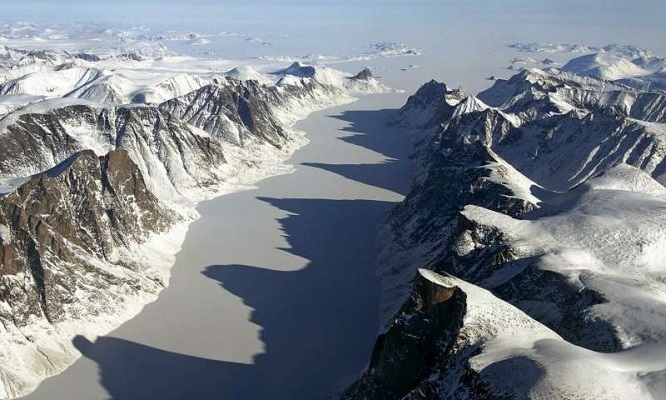 The study, published in the journal Nature Communications, uses radiocarbon dating to determine the ages of plants collected at the edges of 30 ice caps on Baffin Island, west of Greenland. The island has experienced significant summertime warming in recent decades. “The Arctic is currently warming two to three times faster than the rest of the globe, so naturally, glaciers and ice caps are going to react faster,” said Simon Pendleton, lead author and a doctoral researcher in CU Boulder’s Institute of Arctic and Alpine Research (INSTAAR). Baffin is the world’s fifth largest island, dominated by deeply incised fjords separated by high-elevation, low-relief plateaus. The thin, cold plateau ice acts as a kind of natural cold storage, preserving ancient moss and lichens in their original growth position for millennia. “We haven’t seen anything as pronounced as this before,” Pendleton said.